When these three components are out of balance, improperly understood, or poorly executed, telemarketing campaigns tend to crash and burn. Some say that telemarketing, as a whole, is on the outs; that its time has come and gone. Telemarketing and lead generation still works and it can work well. Telemarketing does not work for every application all the time. But it can and it will produce results when applied consistently over time to the right kinds of projects. So what do you need to know to create successful telemarketing campaigns? Read on! Often, I speak with prospective telemarketers and they have very high hopes about telemarketing success. Very high hopes. For example, a guy calls me up and says he has a list of 400 home owners. He wants to call them at night and have appointments set for a free roof repair inspections. Ok. So I inquire, “May I ask what kind of results you would like to achieve on this program?” He replies, “I’d like to get about 50 appointments.” Clearly, I have a lot of work to do with this prospect. 50 appointments created by calling 400 prospects? That is a conversion rate of almost 13%. And this is a B2C or “business to consumer” program. Not going to happen. In a common B2B cold call campaign, about 2% of prospects that actually pick up the phone can be converted into an appointment or a qualified lead. It is interesting, but when I speak to prospective telemarketers most of them have shopped around before they get to me. Invariably, I am the first one that ever tells them about step 2 above. This is a critical metric. Most telemarketing outsourcers tell their clients that they will gain “x” number of conversions on a total list size of “y.” But this is misleading to the consumer and difficult to understand. It is best to set proper expectations in advance and let the telemarketing consumer know that not everyone on a list is going to answer the phone. For every 100 businesses you call, only 75 of them, on average, will answer with a live person. You cannot achieve any telemarketing results talking to a voice mail system, so this metric is critical to factor into your expectations. Telemarketing consumers must understand that your chosen business process outsourcer will make a number of calls that won’t even connect to a real person. So don’t assume you can achieve a 2% success rate on 100 phone calls. Assume you will make 100 calls, 75 will answer and you will convert 2% of those that actually answer the phone. Of course, other factors can influence a program but we are talking about pure cold call campaigns right now. See the difference? It is in that metric that most outsourcers forget to tell their customers about. The percentage of folks that actually pick up their phones at home is radically less than the percentages of businesses that answer with a live person. Makes sense, doesn’t it? 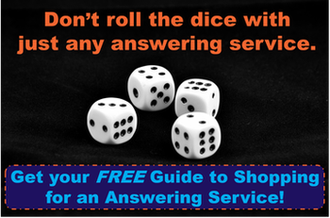 For every 100 consumers that you call at home, only 30%, on average, will answer the line. This means you have a much smaller audience to work with and to convert. Good telemarketing outsourcers understand this progression and they can assign specific statistical metrics in each of the boxes for different types of campaigns so they can help you establish realistic expectations. Shotguns or Specifics? Which works best? Would you sell ice to an Eskimo? No, they already have plenty. You have a choice to make before you go out to market with your product or service. Should you try to sell it to anyone that it might apply to? Or should you focus on the consumers that you know need it or will use it? Common sense tells you that being specific is a better route to go. It works the same in telemarketing. Sure, you can use a shotgun approach and call everyone in the known universe. Yes, you will get results eventually but you will spend an inordinate amount of time and money in order to do so. I always recommend that prospective telemarketers get very specific with their intended targets, because that results in the most successful telemarketing campaigns. Ding! Quick. To the point. Easy-to-understand. Tailored to the prospect. It may not work on every call. But it will work. You need a compelling offer. You need a strong value statement. You need to differentiate yourself from your competitors. But you also need to keep it short and sweet and to the point if you want successful telemarketing campaigns. Now, before you get excited and start making these calls yourself (which actually isn’t a bad idea so that you can get an initial feeling for how well your product or service might be received by your target market) you need to make sure you have a great list. Yes, you need a list. So how do you get a great list? Call a list vendor. List vendors specialize in selling data. Anyone can sell a list. But a great list vendor will sell you clean, current data. It is well worth your time and money to competitively shop two or three list vendors. Each list vendor sources and maintains their data in a unique way. Some list vendors have better target data than others. That is why you should call several of them and get quotes over the phone. Whether you choose to do telemarketing or not you will still need a good list for direct mail and other marketing initiatives. And don’t forget the most important list of all – your customer list. You may be sitting on a gold mine and not even know it. If you have a current or even outdated customer list – use it! You have a connection with these people. These lists are great because much of the footwork has already be done. These are folks that probably already know you and may have done business with you in the past. If you have a customer list, take it off the shelf and get it into the hands of a qualified outbound telemarketing group. However, there is an alternative here that you should also consider – doing your own telemarketing calls or hiring someone in-house to do it for you. When folks have no experience with outsourced telemarketing and they have small budgets, I strongly recommend that they do a few hundred calls on their own. Every business owner thinks their product and service is the greatest thing since sliced bread. But do consumers feel the same way? If you make three or four hundred calls on your own, you will quickly find out where your value statement falls short. You may also be surprised that your key benefits are the same as everyone else’s. You can avoid paying a telemarketer to find this out for you by doing some initial test calls on your own or have someone in-house do them for you. Knowledge is King. Once you have “road tested” your calls, you will be in a much better position to speak to an outsourced telemarketer. And your expectations will be much more realistic. The last thing you want to have happen is to put your trust in a telemarketing company, have them cash your check and then you never hear from them again. Unfortunately, some bad apples out there have done just this type of thing and they have cast a negative image on telemarketing outsourcers in general. When you do find a quality outsourcer, however, what you should expect to receive is the right feedback on a regular basis. Before your campaign ever makes call #1, you need to firmly establish what the campaign goals are. Then, you need to establish exactly what your target market is telling you and receive regular reports on that feedback. Finally, you need a close relationship with your chosen outsourcer so they can tell you frequently what is working well and what isn’t working. Not every objection can be anticipated. Not every value statement touches home. Adjustments have to be made during successful telemarketing campaigns until the right balance is struck. When you finally strike that balance, results are produced on a consistent basis. You should have a direct “huddle up” once every couple of days to review calling activity and talk about how prospects are responding. Talk about what works and what doesn’t. This is your opportunity to help guide your telemarketing team. After all, nobody understands your product or service better than you do. So you need to participate closely in the training and ongoing adjustments in your campaign. Don’t just mail a check and walk away. You should expect to be an active participant. In fact, your outsourcer should want to hear from you regularly. Proper feedback and constructive discussions can start to boost cold call results, sometimes dramatically. We recently extended a project with a client because of the high volume of success that we were having on an outbound campaign. We initially anticipated 2% success and we were able to achieve 4.5% success. The reason for this is because we were sensitive to changes in our client’s list and their target market. Each time the list changed regionally, or had a variation in the type of business called, we adjusted our approach to get better results. It worked, and we still have a happy telemarketing customer to this day. To experience successful telemarketing campaigns, communication and feedback is essential. Structuring this part of an outbound program is the essence of what a “pilot program” is all about. A telemarketing BPO outsourcer can make forecasts all day long. They can provide metrics and examples from campaigns that look and feel a lot like the campaign that you want to do. All of this information is important to analyze when you are framing a pilot program. But you will never really know what you are going to get until you start making calls. That is why this part of the outbound program requires the most attention. If you start hitting roadblocks on day #1, address them on day #1 and make changes. Then you can start ensuring the success of your pilot program. This allows you to successfully test different strategies, approaches and pitches. It really works. So don’t let anyone tell you telemarketing is dead. It isn’t. Businesses and even some consumers still appreciate getting a phone call with valuable information. Just make sure you have the right expectations before you get started. There is an outbound campaign out there for nearly everyone. If you choose to go with the highest quality telemarketing support, then you need to stay with domestic US-based firms. Expect to pay between $25 and $35 per hour based on project volumes. If you decide you want to do telemarketing on the cheap, then you can go overseas and pay between $10 and $20 per hour. Be careful with overseas providers. They tend to perform “shotgun” approach campaigns. Your results may vary. The purpose of this article is to stress that outbound telemarketing is very much alive, and in fact, very relevant and successful if the three main components are in place. As long as you have realistic expectations, target the right market, and get good feedback, you can experience the benefits of successful telemarketing campaigns. This entry was posted in Articles by Brian Gabriel. Bookmark the permalink.